As the founder of two high-tech business ventures: Virtualosity Solution, LLC and Viet Tech Co., Ltd, Steve (Tri) Nguyen is following in the footsteps of entrepreneurs who have successfully merged their tech expertise with business acumen. Through Virtualosity Solutions LLC, Nguyen empowers small- and medium-sized businesses to create, launch and maintain a web presence through powerful and user-friendly content management system (CMS). In addition to web development, the CMS tool also provides e-marketing solutions to enable businesses to maximize their web presence and reach their target audiences more effectively. Virtualosity’s e-commerce product is a world-class e-commerce solution tailored for small- and medium-sized businesses. The solution is easy to use, robust, rich in features, and affordable. The solution includes e-marketing functionalities, automatic order shipping and tracking, dynamic product catalog, many payments processing, and the ability to manage content. Virtualosity’s Online Clinic product offers a way for staff at dental and medical offices to easily create and maintain a dynamic and robust website. This web solution enables clinic to effectively communicate, share, and respond to client. Furthermore, it also helps to yield higher ROI (Return on Investment), attract potential clients, retain existing clients, leverage web presence, and increase clinic productivity. Advanced features, such as the contact resource management functionality, automatic notifications, are built to enhance operational efficiency in health and dental clinics. Virtualosity Solution serves clients worldwide, primarily in the U.S.
Nguyen graduated from the University of Portland with an engineering degree in 2005, and credits his participation in the E-Scholars Program as an important component of his entrepreneurial journey. In 2003, Nguyen was part of the team that secured the first place win for the University of Portland in the Students in Free Enterprise Regional Competition and Career Opportunity Fair. 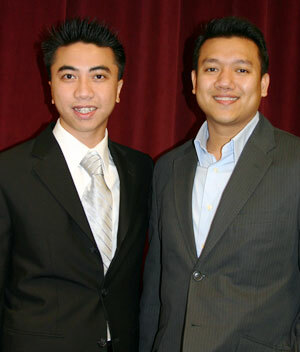 In 2004, Nguyen also participated in a winning team in the Legacy Entrepreneurs Challenge, a business plan competition open to all University of Portland students, alumni, faculty, and staff. Along with building business ventures, the event encourages entrepreneurs to network with local business people and professional organizations. “Learning how to write business plans was a great experience – it has taught the fundamentals to launch my business,” he says. Working with staff at the nationally recognized Center for Entrepreneurship, Nguyen appreciates the mentorship and networking opportunities available at the center. “Staff members at the center are just awesome. They are truly dedicated to help student realize their entrepreneurial goals,” he says. Nguyen lauds the multitude of opportunities available to E-Scholars to network with experienced industry leaders, business owners and influential government players. The program also allows students to explore areas of interest. “Participating in the program helped build my confidence, grow my network and strengthen my understanding of key business concepts,” he says. These days, Nguyen is leveraging the connections he made and entrepreneurship lessons learned to grow his business ventures. Managing a bicoastal team – located in Portland and in Vietnam – has allowed Virtualosity Solution to deliver round-the-clock client services.